A March 2012 report by the UK-based Global Warming Policy Foundation is taking renewable energy to task, claiming that in addition to causing its own share of environmental damage, wind energy “is an extraordinarily expensive and inefficient way of reducing CO2 emissions” that will consume a “staggering £130 billion” in subsidies by 2030. The report also suggests that the push for meeting “Renewables Obligations” (RO) in these conditions will tend to weight generation portfolio’s toward less efficient, simple cycle gas and actually have the potential impact of raising overall Co2 emissions. 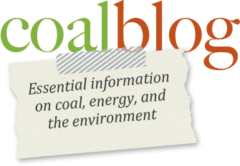 Furthermore, these RO scenarios make the possibility of building, maintaining, or operating baseload options – such as coal or nuclear – extremely unlikely as these large baseload options cannot be operated, like wind, in an on/off … on/off fashion. They must be run continuously to ensure efficient operation and prolong their operating life. Investors will simply not invest in inefficient and ephemeral use of baseload generation projects. Therefore, the only remaining option will be a continuation of “dash for gas” policies, which could leave generation systems dangerously exposed to the often widely-variable nature of natural gas prices. The full report is available on the Global Warming Policy Foundation website.